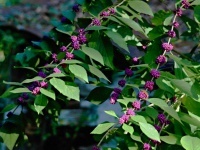 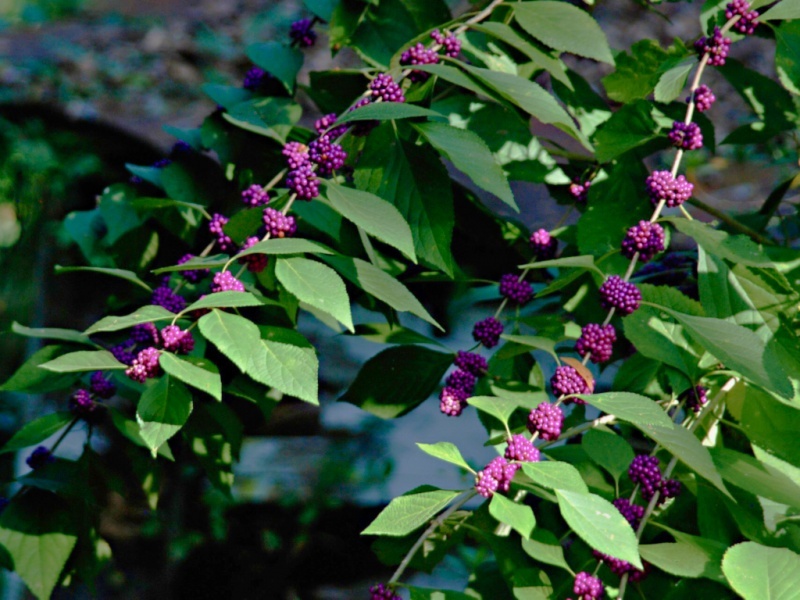 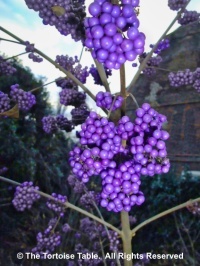 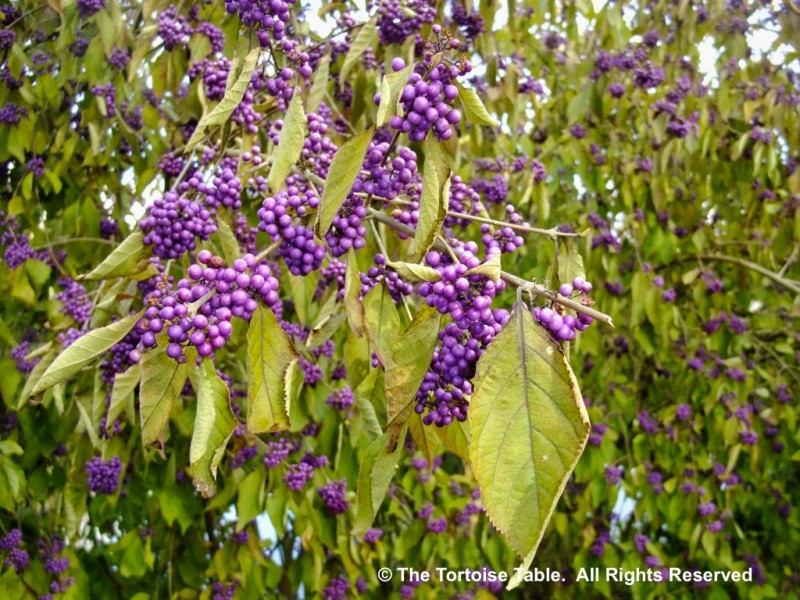 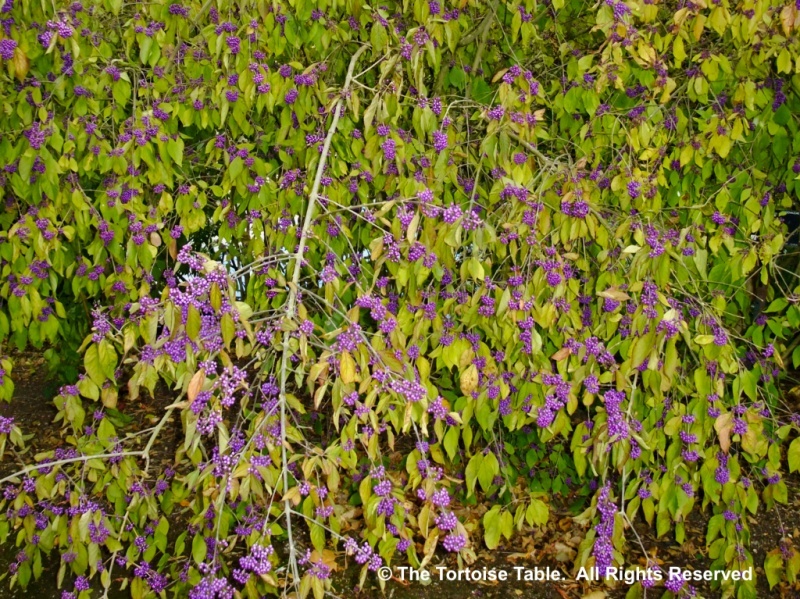 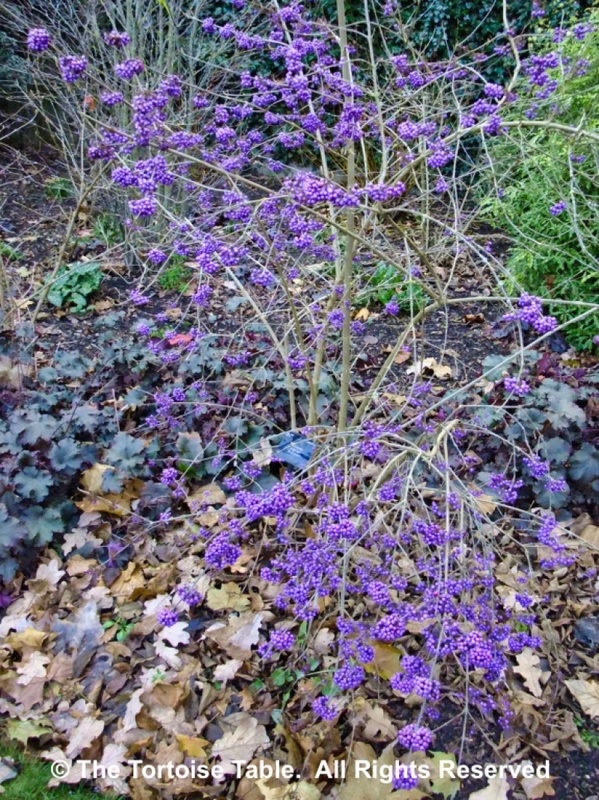 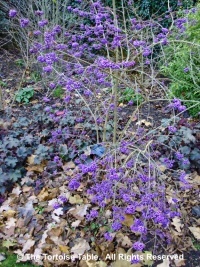 This attractive shrub, often bearing bright purple berries in clusters, has no outstanding toxic properties and is listed as safe by several reputable sources. 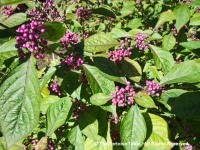 However, it is known that all parts of the plant, but especially the leaves, contain the natural terpenoid called Callicarpenal, which has been shown in scientific experiments to be an effective insect repellent of mosquitos, ticks and fire ants, and its effect on reptiles is not known. 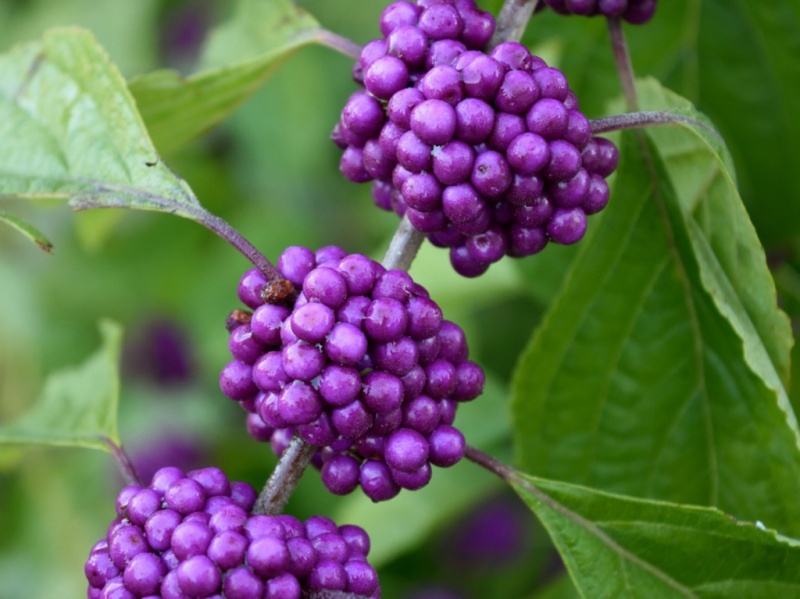 The berries have also been shown to cause stomach upsets in humans, although toxicity has not been measured. 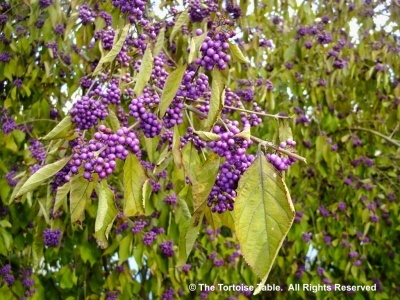 We feel that this plant should not actively be fed to tortoises, but if a leaf or two is accidentally nibbled there should be no harm.